I’m not ashamed to admit that I have been in a little bit of a reading slump so far this month. Although I have started several amazing books in the last few weeks, I have only finished a handful and just couldn’t get into the others, no matter how beautifully written or captivating they were. When I heard about The Walking Read challenge hosted by BookSparks to celebrate the season premier of The Walking Dead, I decided to sign up for the challenge and see if it would be the cure for my reading slump while also introducing me to awesome new YA titles that I could recommend to my high school students. If the first book in the challenge is any indication, I’m definitely going to get both. The premise for This is Not the End is incredibly unique. The book takes place in an unspecified time in the near future in an unspecified coastal town. Scientists have developed a method for restoring dead cells back to perfect health, which results in the ability to resurrect those who have died. However, in order to limit the potential for overpopulation, everyone is allowed only one resurrection pass to be used on their eighteenth birthday. If they don’t use it, they lose it. Lake Deveraux is just a few weeks shy of her eighteenth birthday when the unthinkable happens–she is involved in a car accident that kills both her best friend and her boyfriend. Lake faces the impossible choice of deciding who to resurrect, but her situation is complicated even more by her brother, Matt. Matt is a paraplegic, and Matt and Lake’s parents all know that if Matt were to die and be resurrected, his body would be restored in the process. Lake has always promised to use her resurrection for Matt, but that was before she lost the two most important people in the world to her. The premise of the book sounds super sci-fi and futuristic, but This is Not the End reads like a typical young adult novel in such a way that readers will forget that the concept behind the plot is not a reality. Everything else about the book is realistic and relatable, and Chandler Baker has crafted a narrator whose inner dialogue and honesty draws readers in immediately. Lake is, in most ways, a typical seventeen-year-old girl. She is fiercely devoted to her best friend and boyfriend, doesn’t agree with her parents about much of anything, fights with her older brother, and worries about fitting in. However, Lake also experiences unimaginable loss early in the book and has to make an impossible decision that will break the hearts of several of the people she loves, no matter which person she chooses. The power of this book is the realism with which Baker writes about such a futuristic idea. Throughout the book, I struggled with my own conflicting emotions about what Lake should do and identified with her so much that I found myself wanting to wrap her in a bear hug and take care of her, since none of the other adults in her life seemed to give any indication whatsoever that they would do that themselves. But can we talk for just a second about the twist? This is Not the End includes a major twist that blew my mind. I really and truly believed that I had this book pegged. When Lake met Ringo, I rolled my eyes a bit. She was two days out from losing her boyfriend in a horrific car crash but already noticing the striking good looks of the young man in the therapist’s waiting room? Yeah…right. From that point forward, I felt like I knew exactly how the book would end. The plot of this book will definitely take readers by surprise, and I was hooked from the first page. However, that isn’t to say that I loved every single thing about this book. I didn’t. There are a few plot holes that irritated me to no end, and one major element of the twist seemed completely unbelievable to me. In addition, there wasn’t a single adult in the book who had any redeeming qualities for me. Lake’s parents were terrible. Never once did they truly try to comfort Lake after she lost Will and Penny, and the preference they showed for Matt, even while Lake was enduring incredible grief, infuriated me. Will’s and Penny’s parents were even more horrible, and although I understood their grief, I couldn’t understand their callous disregard for Lake herself, especially considering the fact that she describes them as being more like additional sets of parents to her than anything. Matt was the worst, but since his personality was an important element of the plot, I was able to overlook his truly despicable qualities, but I just could not wrap my head around the lack of empathy that any adults had for Lake. If you’re into young adult fiction, give This is Not the End a try. Sure, there are parts that will make you roll your eyes, and there are parts that leave you scratching your head in confusion, but you will also find yourself invested in Lake, her journey through her grief, and the terrible decision she faces. 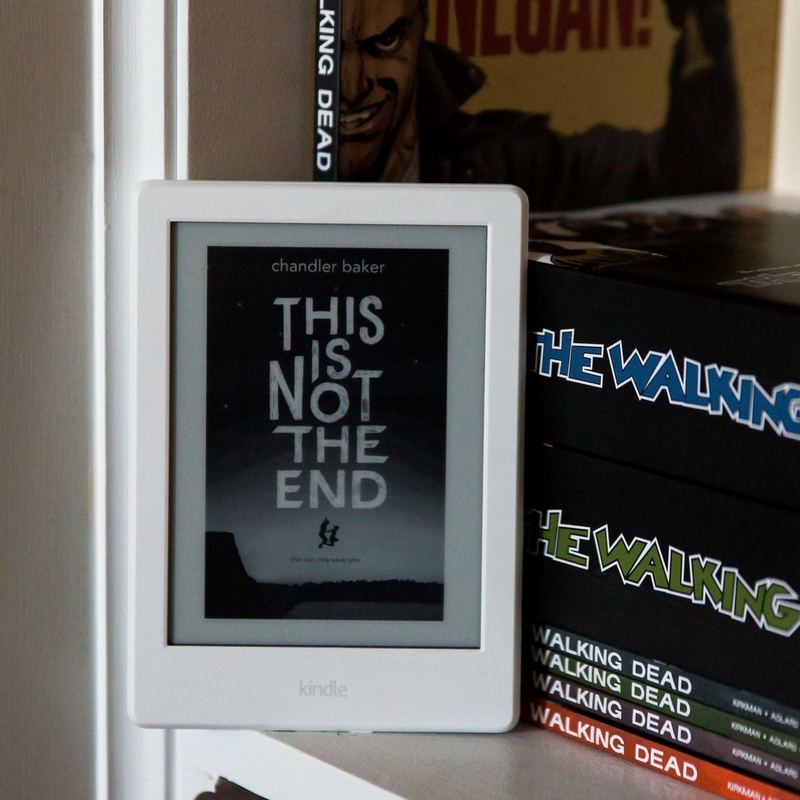 Posted in Young Adult FictionTagged book review, Chandler Baker, Fiction, fiction review, The is Not the End, YA Fiction, YA fiction review, Young Adult Fiction, Young Adult Fiction ReviewBookmark the permalink.